Each person holds on to one theory as truth and disregards those with those who believe otherwise, thus society breaks down. So Satinas and his team are sent to investigate, and along the way, Satinas must evolve. The protagonist first meets the knowledgeable snail-like beings called Yakatskoi. They refer him to the even more knowledgeable crystalline beings called Lorhae, but Satinas has to go through a painful transformation so he can survive the mental probing of the Lorhae. When he meets the Lorhae, he is referred to the even smarter Dirga, beings who were considered to be of legend only. But once again, Satinas must go through a transformation, this time from the Lorhae, so he can have psi powers. In the end, Satinas basically has to become a Demigod even to communicate with and understand the Visitor to stop the visions. What I like about the book is the transcendence of Satinas and the different cultures of the aliens. Because of their different backgrounds, Satinas has trouble communicating with them. The book stresses this a lot, but sometimes, I didn't understand why communication was difficult when it seemed so normal to me. What made this book stand out for me was its concept and the aliens. Also, I liked the pacing and structure of the book, and I enjoyed reading it, despite some noticeable typos/errors. Fortunately, the errors were few, so it didn't distract. What the book lacks is good character development. It's not meant to be a character-driven book, in my opinion, which is maybe why I had a hard time relating to the protagonist and sharing his emotions. I also had a poor understanding of Satinas' crew members. However, as far as character development goes, I've heard Wold's Planet Master books are better in this regard. Another example in Star God of unsatisfying character development is the relationship between Satinas and his soon-to-be-wife. The author touches on how their relationship changes as his physical features does, which is neat, but their relationship is restrained to sparse communications via comcon. They seem disconnected from the beginning because there is no scene with them physically together, to my memory. Overall, if you like idea-driven books, then give it a read. But if you're more into character-driven books, you may like The Planet Masters instead. I like both types of stories, so I'll try to read The Planet Masters as well. Thanks for the review. Although my book is action driven, it is vital to incorporate character driven elements consistently throughout the story. Readers have to form an affinity with or love to hate characters if they are to care what happens to them. Stephen Tremp, good advice! 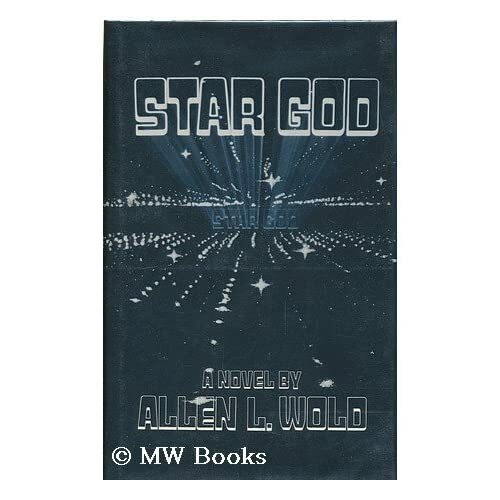 "Star God" seems to be influenced by Arthur C. Clarke, and although the book falls short on character development, in my opinion, it's certainly an ambitious novel and a good read. Clarke's "2001: A Space Odyssey" is a great example of an idea-driven book (I particularly enjoy the conflict between Dr. Bowman and HAL 9000). Hey Reid! Glad you're participating in my blogfest on Monday. Alex, I'm enjoying the blogfest and posted my entry.